PetnGarden.com special feature: The House of Crests - Best Gloster Canary, Gloster Fancy Canary & Glosters in America by Donald Perez. Welcome To THE HOUSE OF CRESTS Gloster Fancy Canary Official Web Site! This site is designed for the newcomer to the gorgeous and prolific Gloster Canary as well as the serious Gloster Fancy Canary Enthusiast. If you are interested in all aspects of acquiring, managing, breeding, raising and exhibiting Fine-Quality Glosters, then this is the Ultimate Gloster Site for you! Follow the many successes of Illinois, USA-based, The House Of Crests & Champion Breeder, Exhibitor & International Judge, Donald Perez through all the years of consistently being in the Winner's Circle. Read the articles on this educational site that will guide you to success even if you are just beginning to enter the world of the most popular and easy-to-breed Gloster Canary. Study the photos of all the Choice Glosters and learn what Superb Gloster Canaries should look like before setting up your first bird cage or breeding cage or purchasing your first Gloster. On this site you will find information on Environment, Diet, Standards, Ideals, Birdrooms, Canary Breeding Cages, Bird Shows, Exhibiting Birds, Grooming Tips as well as the acclaimed article, The Nine Steps to Success. If it has to do with Gloster Fancy Canaries, it should begin right here! Please, enter my "House" and be my guest! Begin your "quest to raise the best" by clicking the banner above. Don perez has also donated an exclusive article to PetNgarden.com. You can read it here. 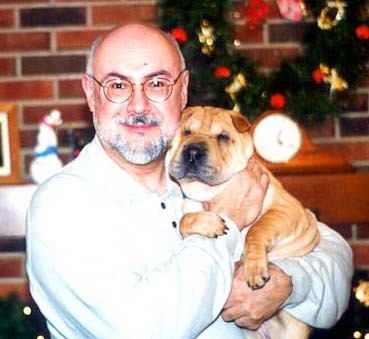 Don Perez - International Judge and Breeder. This is a mirror site. To browse the actual site plese click on the banner up here.